For we native English speakers who've never needed to become fluent in other tongues but speak the language of climate change daily, this raises an intriguing question: is it possible that we're getting a distorted view of the "climate debate" globally, simply because we're missing what's going on elsewhere? The report - Poles Apart: the International Reporting of Climate Scepticism - can't be considered a truly comprehensive global snapshot in that it's looked at only six countries, albeit important ones - Brazil, China, France, India, the UK and US. So there's another caveat - this is a toe-dip into media coverage rather than a comprehensive survey. And as James acknowledges, in the case of China the distinction between left- and right-wing isn't terribly useful. When RISJ last dipped into this issue about a year ago, it found that journalists from major developing countries such as Brazil, China and India had outnumbered their western peers in the chilly halls of the UN climate summit in Copenhagen - and had hardly reported anything of the "scepticism" demanded by editors of publications in the US and UK. The first fell in 2007 - the year of the last major Intergovernmental Panel on Climate Change (IPCC) report - and the second was in 2009/10, just after Copenhagen and the "ClimateGate" revelations. The type of scepticism reflected in papers other than those in the UK or US was almost invariably of the "it's not that important an issue" or "the human component is over-stated" variety rather than "it isn't happening"
The point about the relative oddness of the US/UK approach (and you'd have to throw Australia into that mix as well) has been made in other forums as well. "In Uganda... climate change scepticism is nowhere to be seen. "The seasonal rains that once arrived with precision are now erratic and unpredictable. When your living depends on the fertility of your farmland, the climate is vitally important." But it's not just the developing world that leaves sceptic voices aside. Even in France - home to an active climate-sceptical lobby linked to former minister Claude Allegre - voices opposing climate action or questioning climate science were largely absent from coverage. Clues come in an additional chapter in the report, which looks at 10 UK newspapers - virtually all the national dailies, in other words. Among other things, it shows the success that the the Global Warming Policy Foundation (GWPF) has had in inserting itself into national discourse since its establishment in 2009 - a success noted this week by the conservativehome blog, which describes it as "one of the most important think-tanks in Britain today". 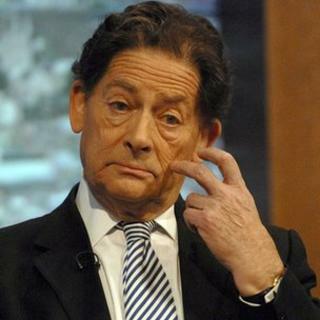 "The two most quoted sceptics by far in the second period (2009/10) were (GWPF founder and director, respectively) Lord Lawson and Benny Peiser (more than 80 times between them)..." concludes the RISJ analysis. The next most frequently quoted was geologist Ian Plimer. He is not British, but came to the UK at an opportune time - in the wake of "ClimateGate" - to promote his book Heaven and Earth. In other words, the political lobby garnered more appearences - many more - than scientists. It was also far more prominent than academics questioning other parts of the "establishment" position, such as the economics of tackling climate change. An additional RISJ finding is that in both the US and UK, right-wing papers reflected sceptical positions more than left-wing ones and increased their sceptical coverage more after "ClimateGate". "The weight of this study would suggest that, out of this wide range of factors, the presence of politicians espousing some variation of climate scepticism, the existence of organised interests that feed sceptical coverage, and partisan media receptive to this message, all play a particularly significant role in explaining the greater prevalence of sceptical voices in the print media of the USA and the UK."